There are a few tickets still remaining for the Parents' Association Ball on Friday 23rd March, the last evening of term - so if you had half-thought about coming but assumed all the tickets had sold out by now, do please think again! They are priced at £70 per head and are available from Dawn Dunn at dldunn@shrewsbury.org.uk. Please see 'Forthcoming Events' below for more details. If you would like to come along to play golf and enjoy good company, then please contact Tim Lewis who would be delighted to hear from you. Full details can be found under 'Forthcoming Events' below. Shrewsbury Half-Marathon - Calling all Parents! Back in 2013, the town of Shrewsbury decided to shut its streets for one Sunday in June to hold a half-marathon. That morning a small group of Shrewsbury School runners joined the other competitors to take to the streets and take on the 13-mile challenge. Every year since then the event has grown and as it has done so our own numbers have swelled, with well over 30 Shrewsbury School participants taking part each year. Over the past five years we have raised £26,406 for charities including The Shrewsbury Ark, CRY, The Restart Centre, and Alder Hey Children’s Hospital. It is also a wonderful way in which we can bring together the School community in a moment of shared endavour: last year's 'Team Shrewsbury School' included teaching staff, support staff, pupils, parents and former pupils. Enjoy the energising boost of getting fitter and stronger, and the warm glow of achievement when you complete the race! If you have any questions about the event, please contact Peter Middleton, Deputy Head Co-Curricular (pjm@shrewsbury.org.uk). This week's edition of the student round-up of school news and events includes an interview with Director of Drama Helen Brown. Mr Middleton describes the experience of being part of an invited audience at the A Level Theatre Studies examined performance of 'The Admirable Crichton'. We were delighted to welcome teams of young and enthusiastic scientists to take part in our second Darwin Science Competition on Thursday 8th March. 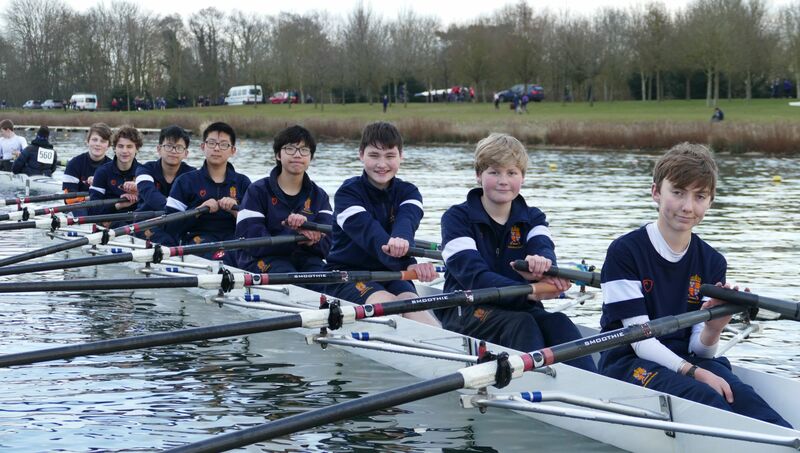 The Boat Club have had a busy week, with 19 crews competing over Sunday 11th, Monday 12th and Tuesday 13th March.